ProteinGirl: Having One Of THOSE Days??? Like everyone else, I have days, or in this case months, where I am not feeling 100%. I am not pleased with how I am dealing with certain things, or I am not giving myself the care that I know I deserve. As someone who has spent the vast majority of the past 9 yrs deeply involved in the Nutrition Industry, I find that people often assume that I am perfect, and lead by example 100% of the time. They often think that I will be critiquing what they eat, how they lead their lives, exercise, what supplements they take etc. It is as if every statement I make is an all-encompassing judgement on them. The truth is that I am human, and just like everyone out there, I MESS UP. I get stressed, I stress eat, I am not always 100% "on", I don't always go 150% on my workouts, I eat junk, I struggle with my weight, and yes- I have "fat days". I often feel worse, because people believe I SHOULD have all the answers. I don't. It is frustrating that I fall prey to the same human behaviours many make when I KNOW BETTER- but the thing is, I'm human. The difference is that I am aware of it; so keenly aware of it, that it sometimes feels as though it is a value judgement on my self worth. Then I get over it. How? By NOT making a big deal of it. I find the more time and emotion I put into berating myself and thinking about NOT repeating the behaviour, the more it becomes a focus; the more it is on my mind, and the more I engage in the very behaviour that I am trying to avoid. I have been under a considerable amount of stress recently, and I do not expect it to get much easier any time soon. So I have to accept this and deal with it unless I plan on being miserable for the next 9 months. This is NOT okay by me. Being healthy means MENTALLY, Emotionally, as well as physically. We need to be healthy in all areas, as they are all interrelated. You can't expect to be happy all the time, but you also can't expect to be happy if you are treating yourself poorly all the time. Today I propose taking a breather. I have written numerous times about taking a 'geographic' (physical change of environment/geography) be it just going for a walk around your neighborhood, to the grocery store, to the book store, or as is the case for me today: to the mall. Yes I should be focused, researching and working. But I need a distraction first and foremost from the stress that is permitting me from focusing in the first place. I need a distraction from myself, from the stress and the 'you should' voices in my head. And if window shopping achieves that, then so be it. Walking through Chapters, by THE BODY SHOP (their Satsuma Body Butter will uplift your spirit no matter what!) , sipping tea @ Starbucks (CALM Tazo tea - very appropriate), listening to the music, trying on ridiculously expensive eye creams and taking advantage of great tester face creams ; perusing boutiques and wandering around is exactly what my soul needed today. 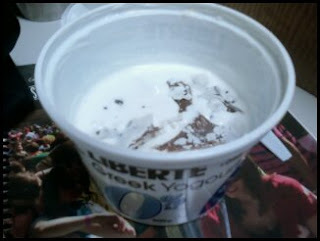 Liberte Greek Yogurt, Sweetener and cinnamon added, with a crumbled Chocolite Cookies and Cream Bite and another Yogurt with the To.Die.For Peanut Butter Patty ... highly recommend it. I inhaled 1/2 of the tub before I snapped a picture with my phone. 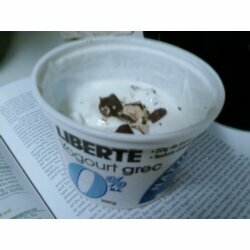 If you see Liberte in stores, I highly recommend giving them a try. I am in the midst of doing a product review, (products do differ from Canada to the States), and am thrilled they don't use any hormones, chemicals, growth regulators ( rBGH free ) etc. 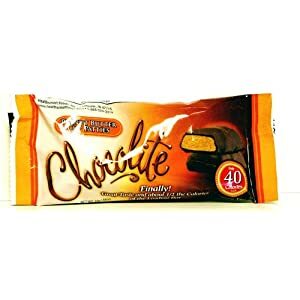 If you haven't tried CHOCOLITE Products.... go get some NOW! How do you cope with stress? What stresses you out the most and what events/circumstances cause the most unease? What are your triggers? Do you have a pattern of things (deadlines, certain events, people, fear of not living up, fear of success/failure) that cause you to feel less than "100%" and fall prey to certain behaviors? How does this affect and effect you? What has allowed you to "move on" and stop these thoughts/behaviours and turn things around? What are some of your best "distractions" and ways to get your mind off of things? I would like to add that if you are really feeling low, and are having a hard time coping PLEASE seek some help and talk to someone. I needed this SO much! Thank you! I am going to get up right now and go for a walk through the closest shopping area! THANK YOU. I usually cope in unhealthy ways and the more depressed I become the more I react negatively. I am going to get up right now and change my attitude! I know days like this so well from myself ... Just had a couple of them recently. I call them my thin-skinned days. What helps me is to focus on something that builds me up and does me good - like, going for a nice walk, playing the piano, meeting a lovely friend (if I'm in a social mood after all), phone with my mom and just tell her. Most important, I try not to put even more pressure on myself by my own (high) standards. It's good to know that it'll pass again, also. oh I hear ya! I always think I should have the answers, yet when it comes to myself....I'm rather stubborn. When I get stressed, I try to pamper myself with a pedicure or something like that. 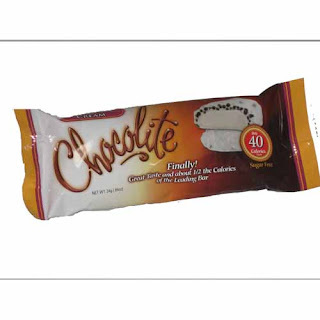 What a yummy dessert, I've never heard of that bar before but it looks really good! I agree with lindasy...mani pedi and a starbucks trip always helps!